Dylan Curley wins the 2013 Championship. Having won 9 of the 12 championship rounds this year, it comes as no surprise that Dylan Curley is the 2013 Ginetta Junior Ireland Champion despite tough competition from 2nd placed driver Jack Finlay and Sophie Byrne (3rd) who were snapping at his heels all through the season. A well deserved championship winner who showed his racing expertise with double header wins in Kirkistown and Mondello Park. 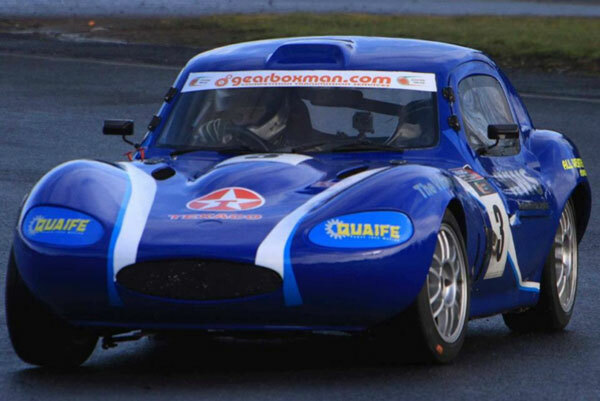 Thanks to the support of Ginetta, Dylan’s prize is the use of a Ginetta G40 in the GT5 Challenge in 2014 in the UK, a series which supports the British GT & Formula 3 Championships. Ginetta Junior Ireland wishes Dylan all the best for his future racing career which we will watch with great interest!